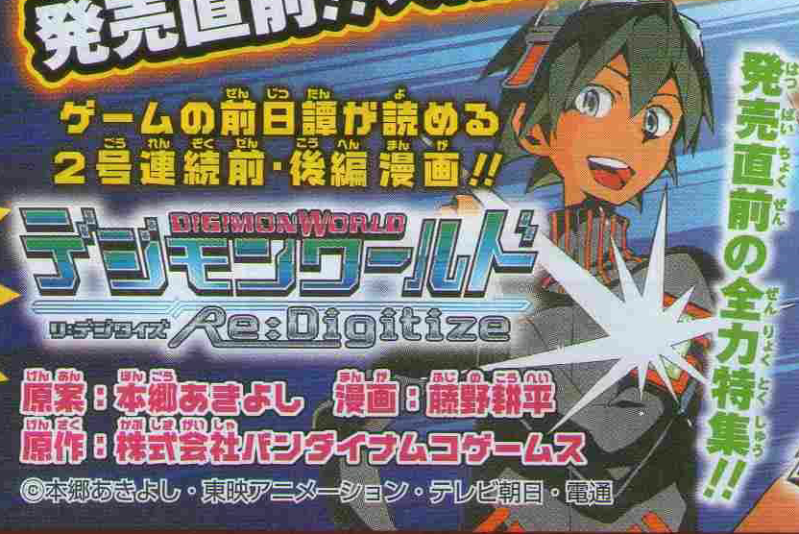 It appears the PSP is getting another Digimon game using the re:Digitize engine. 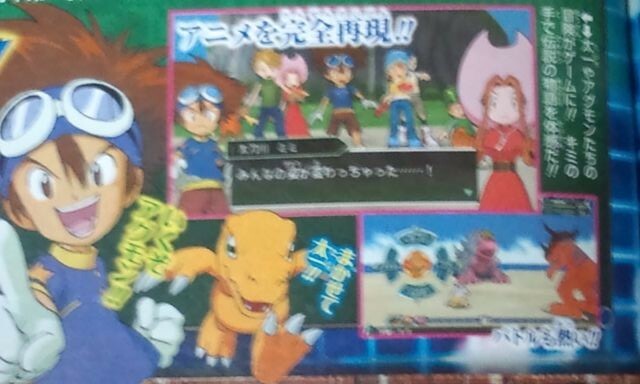 It's planned to be released this year for the franchises 15th anniversary. 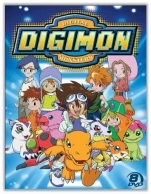 This one looks like it will cover Digimon Adventure. Was gonna wait until I had more information, but at least one actor has spoken up about trying out for Xros Wars dubbed. Rising Sun Tokusatsu noticed Ben Diskin mentioning he tried out for it. As for who has licensed it... that information is to come later. Edit- Due to a few things being said less than privately...I can go ahead and say who the company is now... Saban Brands. The first dubbed season will be 30 episodes. Saban's longtime composer Noam Kaniel will be composing music for the series. 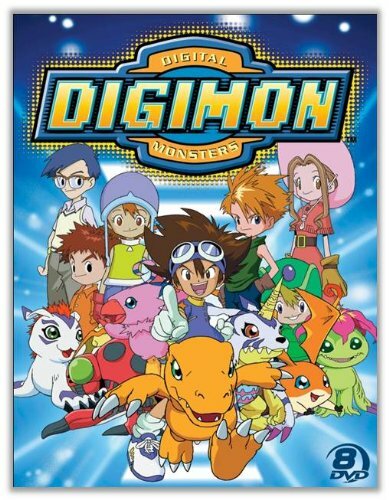 Edit 2- Saban Brands has confirmed they have it and it will be dubbed under the title Digimon Fusion, they've also confirmed they have the old seasons. An Amazon listing appeared for season 1 from a company called New Video Group. This is the company that distributes the DVDs for The Guild, Red VS Blue, and Dr. Horrible. If what little information in the Amazon listing is accurate the Season 1 collection will have the Adventure title on it, be 8 disks, and come out October 9th with an MSRP of 80 dollars, with Amazon's preorder price being 56. I'm waiting on further information and will update when I can. The source link is an affiliate link to Amazon for the item, so buying it from Amazon using that link supports the site. Update- Here is some preliminary cover art. New Video says more information will be made available later, a bit to early before release at the moment. I'll be interested to find out who they are distributing the release for. Update 2- A listing at Right Stuf has added that the set will come with a 40 page booklet that will have over 200 images and sketches. Update 3- A listing appeared a few days ago for a 2 disk set on Amazon that lists the language as having Japanese audio and English subtitles, with a release date of October 9th (the same date as the 8 disk dub set.) New Video is listed as the distributor for this set. 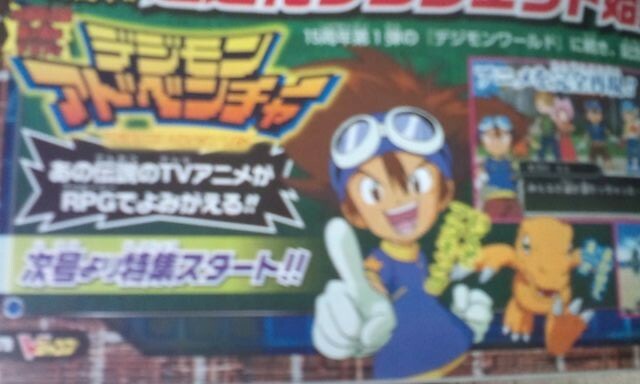 Looks like we get a new manga, which will be based on the new video game. The manga will be by Fujino Kouhei. Bluefin, an international distributor for Tamashii Nations has announced the upcoming D-Arts Dukemon figure will be released in the USA. Pricing for the American release will be announced later this week. 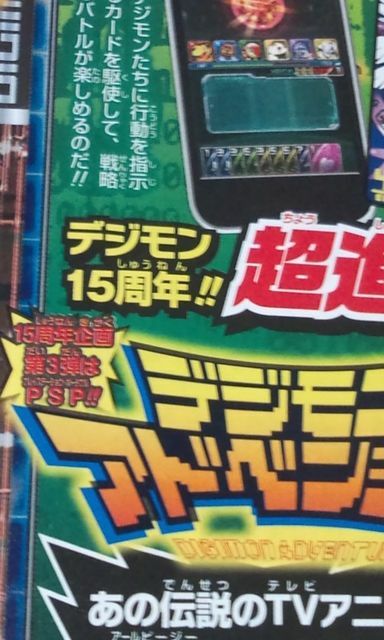 Along with Dukemon they will be releasing Red Hawk from Jetman.